For a long time, the only playground at the community center was geared toward 2-5 year old kids. So when older children wanted to play, the center had to walk the kids to a school a few blocks away and use their playground. When a community member brought this to Councilor Benton's attention, he took action. 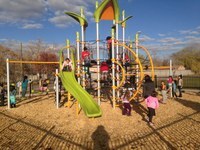 Working with Exerplay, Councilor Benton & Family and Community Services committed the $110,000 for the playground and $40,000 for the landscaping. Approval for the funds was given on May 22, 2014. 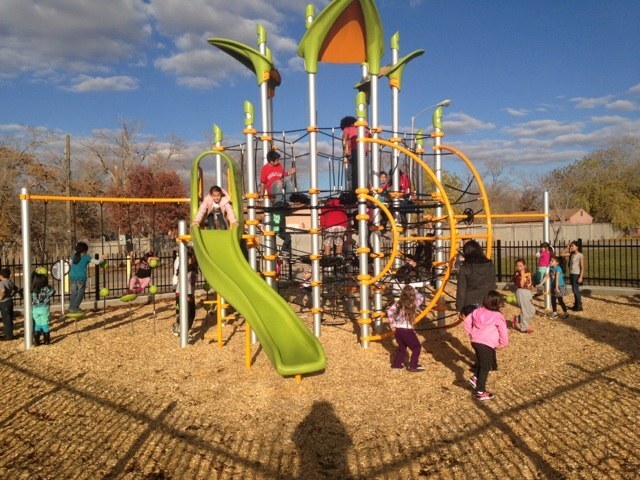 Playground was completed on November 24, 2014. 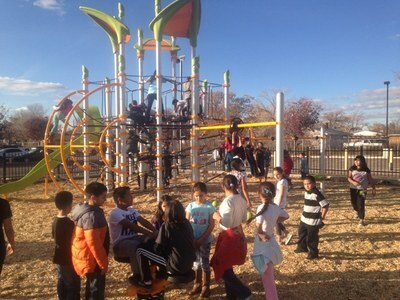 Children had their first opportunity to play on the playground on December 5, 2014.